A Bold Step Forward in Do-It-Yourself Diagnostics! 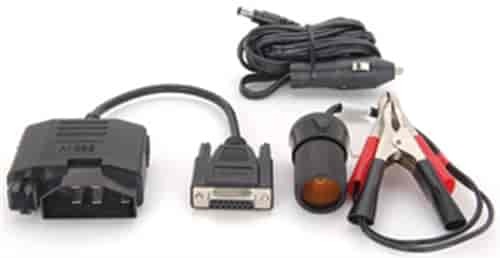 Actron automotive diagnostic equipment helps you save money time during vehicle repair. Scan tools and code readers can quickly pinpoint problem components for a faster diagnosis while reading Diagnostic Trouble Codes (DTC's) and descriptions. Compatible with 1996 and newer import and domestic vehicles (OBD II & CAN), as well as 1994 and 1995 OBD II compliant vehicles. Actron handheld automotive diagnostic tools are small in size, making them perfect for storage and use. Enhanced features include the ability to read manufacturer-specific DTC's, graph live engine data, record and playback stored vehicle information, and print the information through a PC. Do-it-yourselfers can get access to their vehicle diagnostics using their smartphone via the U-Scan mobile app.